After two months of using ClickFunnels I decided to write a review about my experience using it. After having coded my own pages since 2011 and doing internet marketing since 2015 I decided to give “ready made” sales page creation software like OptimizePress a chance. Even though I consider it a great option for marketers (specially those starting out) for a one time payment for $97 that gives you license on 3 sites. Still today I use it for many of my pages. But as you grow as a internet marketer and learn more new things you may want to start to test some more advanced stuff. That’s when I started to experience some limitations with my current solutions and decided to give ClickFunnels a go. Just for you to know I am going to be comparing ClickFunnels and OptimizePress for the sake of this review when I decide it’s a good fit – even though they are not priced at the same level and are in a sense not the same type of software – they are targeted to online marketers and do provide similar kind of solutions to them. Another good comparison would be LeadPages which is a page-builder much like the other two – but as I haven’t tried their services I’m not going to be doing a review on it. Also to not that I do run an ad on my blog promoting OptimizePress as I think it’s a great bang for the buck. Nevertheless I will me honest in my review comparing it to ClickFunnels when I feel appropriate. If you are anything like me and are into internet marketing you are perhaps following some of the people as I’m doing. You might have stumbled upon someone praising the name Russell Brunson as there is tremendous hype going on right now these days about his software “ClickFunnels”. I first heard about it in 2016 as I noticed some big names in internet marketing were using and especially when it came to selling their own products. I started to read and gather some knowledge on ClickFunnels to see if this was something that would benefit my business as I both had my own product and was also doing affiliate marketing. I was reading about people breaking the million dollar mark with this program and I got all hyped up by Russell’s slogan “You are just one funnel away”. In the middle of May 2017 I decided to go for the 14-day trial period as it provided full access to the basic product of ClickFunnels with all the options available. During that time I also bought something called “The Funnel Hacker Black Box”. It’s two of Russell Brunsons books “Expert Secrets” and “DotCom Secrets” where he goes into how to use Clickfunnels to build an online business, to become an authority in your niche and mainly, how to build funnels that make you money. I finished “DotCom Secrets” in 3 days and it was a real eye-opener for many things and also further established trust in this software – Clickfunnels. During these two weeks I was mainly fiddling with the options and learning stuff as this is an extensive piece of software. There are a lot of videos and tutorials to go through and I found myself getting stuck quite often and having to talk to customer support. It took me about a month until I was finally ready to start building my first funnel for one of my products. It was my first product that I had sold two years ago and I hadn’t been promoting so I thought it was ideal to re-do my sales pages and my funnel with my new tool. Guess what. Clickfunnels is an amazing page builder in my opinion. It’s drag and drop and what is important is that it’s quite fast in the sense that it’s easy to use the controls to build your page. As with many drag-and drop software it can sometime be slow and clunky or not very tweakable but with Clickfunnels you are not restricted in any way. Want the header just 2 pixels lower? No problem. Want the gap between your optin box and video wider? No problem. I found out that I could adjust almost anything considering the layout and the look of my page easily with the settings on the sidebar by just dragging sliders from left or right. Very snappy. I was able to re-create my sales page from my video template product in just about 2 hours – something that took me a week coding in HTML. I was actually surprised how good it really was and fast. If you are looking for a complete page-builder for your sales pages or optin pages – look no more – I would recommend this tool in an instance. account going. ClickFunnels has chosen Stripe as it’s core payment processor and offers and easy connection if you already have an account. There are more options available like Paypal, JVZOO, Clickbank and other’s if you want but it’s a much more complicated process technically I found out – but possible. One of the main benefits I found out by using Stripe over the others is that it offers One-Click upsells in your funnel but not with the other payment processors. Why that is I’m not sure but that’s the way it is. If you are unsure of what One-Click upsells are it’s basically means that as soon as a person has purchased the first product and finished the order confirmation where they put in their credit card details, they are taken to the upsells where they can add them to their order with just one click. That way they don’t have to add their credit card details again as that can lead to abandoned carts and less conversions. It just makes it as easy as possible for them to buy more. So quite important. That was the reason I created my first Stripe account and also hearing all the horror stories of frozen Paypal accounts it’s not a bad idea to have at least two options when it comes to payment processing. Then we come to the most important part of why I decided to buy ClickFunnels. The funnel building itself. It’s surprising that it seems that many marketers and companies are not very efficient in their marketing strageties spending a lot of money on advertising and not maximizing their profits from their customers. After reading Russell Brunsons book it seem that people have just been caching up lately with the power of having a good funnel in their business. I have also noticed that a lot of people seem to be afraid to try to sell more to people that have just bought something from them. Afraid of making alienate their customers away and making them irritated perhaps of being sold to again. That doesn’t seem to be the case and actually people like Russell encourage people to sell them more as you are actually doing them a favour by providing them more solutions to their problems. I could write a ton more on this subject but the most important thing to take from this is that building a funnel for your business is very important and you actually just need one good one to make a ton of money. As I said before I had very little trouble re-creating my already done sales pages for one of my products. The page builder is the best one I have tried so far. But I ran in to some technical difficulties setting up my funnel. I wasted for example some hours building my sales page only to discover later that I had chosen a “squeeze page” template for it and thus I could not attach a product to my page. You have to set up a product description in Clickfunnel in order to put a price tag on it and connect it to Stripe. I had to spend quite some time for trial and error to get this setup correctly and I found that there was a lot of issues I ran into that their tutorials did not cover well enough and I had to Google and contact Customer support many times in order to get this setup up correctly. With patience and some struggle I finally had all the versions of my product set up. The front-end offer, upsell, downsell and upsell 2. I ran into some major issues as I was connecting the optin box on my squeeze page (where I was giving away a free starter pack of my product) so that it would re-direct the visitor to the sales page after putting in their email. Seems a pretty straight forward process but I had some error on my page, some kind of conflict that caused it to not work. I spent two days trying to correct it, reading tutorials, watching videos and talking to customer support to get it fixed. It took them 5 days to find out what the issue was and finally had something to do with the “classic editor” but not the new editor I had been using to build my page. I had set up a redirection URL in the editor I was using but for some reason I had to go into the classic editor (the old version) and put the URL in the optin box there. Doesn’t make much sense and I was way off finding this solution as it just didn’t make any sense to me. The idea of building the funnel seems very easy with this tool but be ready to having to read and watch tutorials if you really want to be able to utilize this tool all by yourself because you are going to be running into a lot of technical stuff even though building the pages is pretty simple. Connecting it all together is harder. One thing you are probably going to want to do is to connect your domain to your Clickfunnels account. If you don’t then you are going to end up having something like http://yourbrand.clickfunnels.com Nothing wrong with that but probably your going to want to have something like www.yourbrand.com instead if you want to up your credibility. That process took me a lot of time to get going. Clickfunnels wants your URL to go through Cloudflare nameservers and has a good step-by-step tutorial on this. The process in perhaps a little bit too technical for people that are not tech-savvy enough and I would recommend getting maybe some assistance on this piece of matter if you are not comfortable enough doing this. I managed to set this up myself but could get my SSL certificate to be approved. I followed the tutorial 100% but still I didn’t manage to get my URL working with ClickFunnels. Contacting customer support didn’t help and I tried to send a ticket to Cloudflare. The only way to get help from them is through a “support forum” and you have to earn points before you can post a question there! After having tried everything I could think of I finally gave up and deleted my Cloudflare setup and did everything again and suddenly things worked. Why didn’t I do that the first time? Because it takes 24-48 hours for the nameservers to update and I wanted to try everything else before I did the setup again. Luckily it did work and I got my custom domain working with Clickfunnel. I had my funnel finally set up and I began sending some paid traffic to it just to test it out. Now just to notice that one of the main reasons I wanted to get ClickFunnels was to easily set up a funnel and TRACK my traffic and results. For $97 a month I expect some good piece of software that just works out of the box like it claims. It came as a little bit of surprise when I was seeing 250% optin rate on my squeeze page after running the traffic (see pic below). I contacted support and complained about this as this was one of the reasons I decided to get the software. How can you get a 250% optin rate on your page. Should be impossible right? They just explained that perhaps one of the visitors decided to opt in more than once. For me that is not good enough as it makes the tracking ability a totally useless tool. If I can’t trust the numbers then how can I make sure how good the page is working compared to another one? One thing ClickFunnel allows you to do is to split test two pages at the same time. Very handy and it’s one of the main features of the software. But after having these results I began to question the efficiency of the software and I my excitement of this new tool drastically decreased when I saw that it had some rather big faults compared to the price tag. Just to note that this glitch in the percentage of optins would usually happen at the start of the traffic and with time it seemed to even out. I tested this also with another squeeze page of mine with another offer and usually the numbers would start out very skewed but then it seemed to correct course to show some normal numbers – but not always. For one of my affiliate offers I would experience 250% optin rate and finally it would en in 90%. Usually you don’t get more than 50% of people to optin for your offer so I know that these numbers are not correct in any way. Very disappointing for the amount of money you have to pay each month for this. Then there is customer support. In these two months I was a customer I probably opened up 100 tickets. Ok I exaggerate maybe a little bit but they were many. They were very helpful and polite but usually I would need to wait 2-3 hours on a workday and wait for it….they don’t respond on weekends. Which was very frustrating as I was usually doing most of my ClickFunnels work done on weekends and then I would often need to wait 1-2 days to get my things solved (yes I did my own research and tried to solve most on it on my own but that didn’t work out always). This software is very extensive in features and be prepared to talk to customer support often. I had some issues that they couldn’t resolve and they had to talk to the “developer team” one time and it took 5 days. But in general they are very helpful once they respond but be prepared to not always get an answer right away. Again – annoying for the amount you have to pay each month. Now let’s get one thing straight. ClickFunnels is a great piece of software there is no denying that. Actually I would consider it to be on a level on it’s own with it funnel building technology and I know of a lot of high-profile marketers that are using it and making millions of dollars. I haven’t covered the membership features of it and the e-mail capabilities, the “Actionetics” and the “Etison Suite” simply because I didn’t buy that part of the program. I really love the page-building part of this software – actually I think it’s awesome. Also the funnel-building aspect. It really speeds up the process. The reason that I decided not to continue after two months of using it is very simple. I can code all these website myself using Bootstrap. As I mainly do digital products then using something like JVZOO or Clickbank allows you to build a complete funnel without having to worry about payment processing and connecting everything together. Doing affiliate marketing is even simpler as you really just need 1-2 pages. It’s easy to track results with Google Analytics and a Facebook pixel. ClickFunnels is a little overkill if you are just doing that in my opinion. 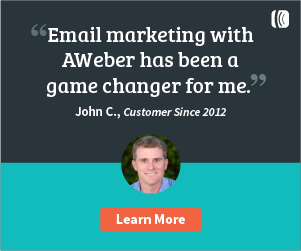 I already us Aweber for my e-mail marketing so no need to use ClickFunnels for that and mostly of all – I’m not limited to 20,000 visitors and 100 pages by using my own HTML pages instead of $97 package from Clickfunnels. If you want unlimited then you have to shell out $297 for the Etison suite. That’s a hefty price tag if you are not making dough already with your marketing. So for whom is ClickFunnels for? I would say for small businesses and marketers looking to sell their products or services online and want to save money on web coders, graphic designer, autoresponders, membership pages etc. It’s my feeling that they (ClickFunnels) have come a long way but it still needs a little refinement. Being a graphic designer myself and I like coding then I felt like spending $97 was unnecessary. Where it really counted I felt it was not filling my needs. Example: I was installing my Facebook pixel code on one of my Clickfunnel pages. I was supposed to put it in the header section. No problem as there is a “Header” and a “footer” section to edit code in ClickFunnels. Then I wanted to put in my “event code” which tracks things like purchases, leads, add to carts etc basically to track how my Facebook ads are operating. But Facebook wants you to put this code beneath the header section. Guess what? You can’t in ClickFunnels! There is no way to edit code outside of “Header” and “Footer”. This is why I never got reliable data from Facebook as my pixel wasn’t working as it should from ClickFunnels. Where to you put the event code if you are supposed to put it between the header and body sections? I researched, posted in the ClickFunnels Official Facebook group and customer support but no luck. That said I will probably come back to ClickFunnels one day as I really like building pages with it but at the moment I feel like I don’t need it for the price. I’m really picky in my business and I want to be able to control every single detail – also the technical things and it annoys me if I can’t edit or change all the things I want to do and for what I’ doing now (affilate marketing) I feel the best way to do that is with my own HTML pages and my own tracking (Google Analytics, Facebook, Prosper202). But if you are looking for a page-builder and you hate coding then ClickFunnels leaves the competition in the dust. If you want to try out ClickFunnels then there is a 14-day trial offered here.